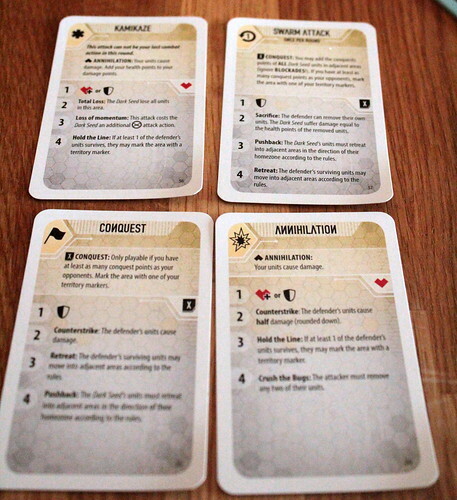 Each faction has their own selection of combat cards. All have one Conquest card to capture territories and one Annihilation to eliminate enemy units, plus their own specials. The cool part about combat in Tsukuyumi is that there is no luck involved. The attacker chooses a combat card, the defender picks a defense effect from that card.